Small cracks can lead to big problems. This step by step video demonstrates the four steps we take to ensure your foundation wall will never leak. Our flexible polyurethane sealant stays bonded through freeze/thaw and wet/dry cycles and will never dry out or crack. Small cracks in foundation walls are common in homes throughout the Michigan area. 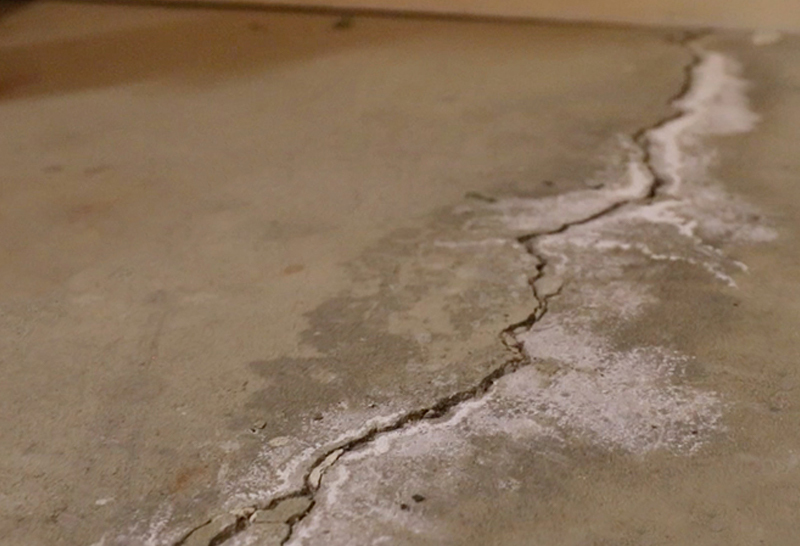 Usually a side effect of the natural curing process of concrete, these cracks usually do not threaten the foundation. If you're waterproofing your basement with WaterGuard® or another interior drainage system, the system can be integrated with it to direct any potential leaks to your sump pump. Otherwise, a small dry well about 5-10 gallons in size is created at the base of the crack. We start by chiseling the crack to create a channel and then seal the crack with a polyurethane sealant. This seals the crack and forms a durable seal. Your polyurethane seal should never fail. Additionally, we overlay the sealed wall with a 100% waterproof PVC panel that will direct water to your basement drainage system or dry well. This panel will never rot, warp or discolor, and will ensure that your basement remains dry. It will also keep your foundation wall looking great and give it a professional, finished appearance. After the wall crack has been repaired, the concrete floor is restored flush, with no gaps or openings. We pride ourselves on leaving our workplace clean and neat. 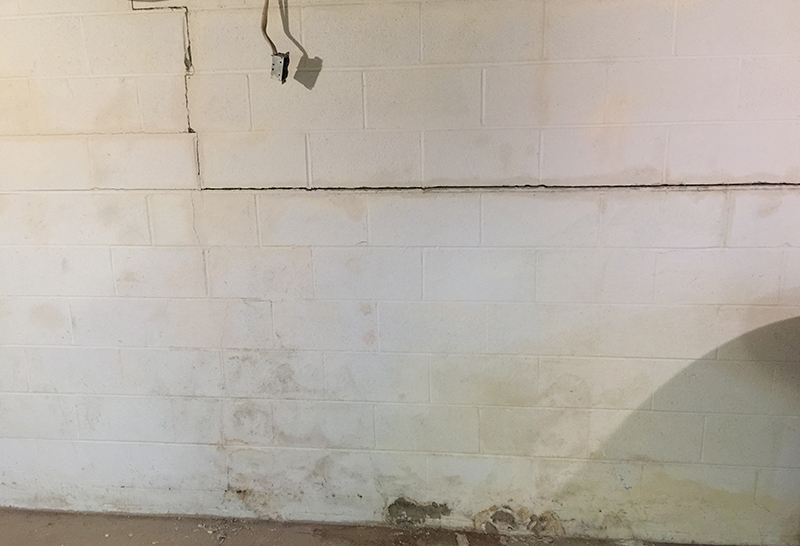 The end result of this system is a professional-­‐looking, top-­‐performing basement wall crack repair that includes a Lifetime Written Warranty. Why the Panel Crack Repair System over Injection? Unlike most epoxies, our special polyurethane sealant is fast-curing and will never dry out or re-crack over time. Additionally, hydraulic cements, epoxies, and even urethane injections are not able to bend and stretch along with your foundation movement. As concrete walls expand and shrink slightly through freeze/thaw and wet/dry cycles, the bonds of these materials will fail and the crack will re-leak. Panel Crack Repair System stays bonded with wall movement, and seals the crack permanently, no matter what. Another common problem with crack injection repairs is that they leave a mess on your foundation wall. Our system solves this problem using a PVC panel that covers the sealed crack, providing added protection and a more polished look.